Lions Tim Brown, Leo Orme, and Terry Peterson. 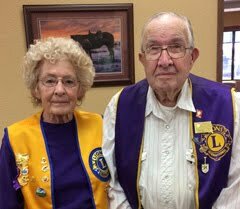 It was a busy evening Tuesday (October 13) for the Belle Fourche Lions Club. The group gathered at The Stadium Sports Grill and welcomed Lion Terry Peterson, 1st Vice District Governor and Lion Tim Brown, 2nd Vice District Governor. 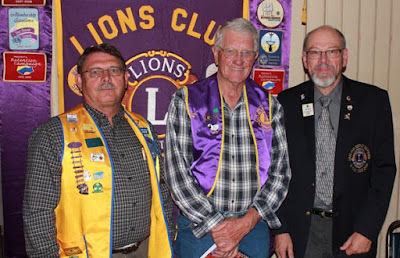 Lion Peterson extended warm greetings from District Governor Edwards, who — due to health reasons — has asked him and Lion Brown to visit clubs within the district. 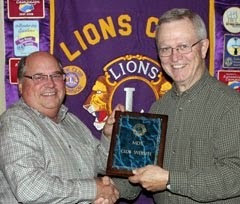 Lion Peterson underscored District Governor Edwards' #1 goal, which is to have more women involved in our clubs. He also reminded members of the goals set by Lions International President Yamada, stressing Dignity, Harmony, and Humanity. Lion Rich Drabek shared information about the Fall Rally. He noted that Past International Director Bruce Schwartz is leading an effort that challenges clubs to pledge a total of $7,500 toward Leader Dogs for the Blind. The gift basket put together by Lion Joyce Drabek (shown here at right) was auctioned off for $95, and there was a total of $1,000 raised for Leader Dogs. 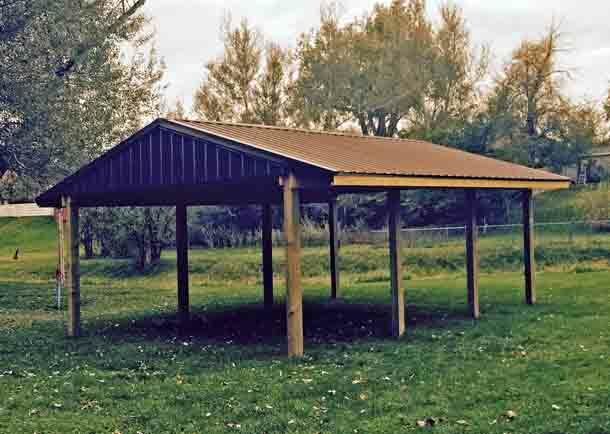 Lions also received an update regarding the new shelter located near Herrmann Park. The roof has been completed and the next step will be the pouring of the concrete deck by the City of Belle Fourche. While forms have been constructed, there's no date set for the pouring to take place. A Lions sign will be ordered for the shelter, and at some point, we should have an official "handing over" of the structure to the city. 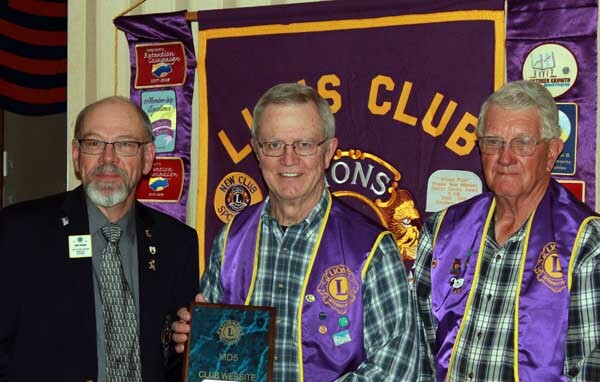 There was also considerable discussion about the 5SW Lions' Pride newsletter edited by Lion Terry Peterson. Members overwhelmingly noted that they read the newsletter — and congratulated Lion Peterson on a job well done; however, printing and mailing costs have caused some concerns, and Lions will be exploring options. 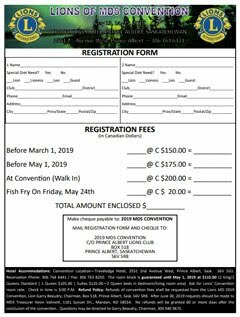 These might include putting the newsletter online, creating PDF files and sending the newsletter to members via e-mail, or raising dues to help cover costs. There was no consensus, but Lion Peterson said he could spell out options — perhaps as many as five — in a forthcoming edition of the newsletter. Lion Rich Drabek expressed the view that we need more transparency regarding proceedings of District meetings and that minutes of those meeting should be shared with clubs. Several members supported that position, one noting that sharing such information will not only create greater transparency but also bolster awareness of the many great things that Lions are doing within the District. 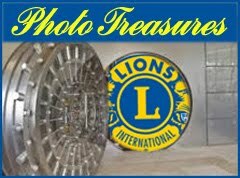 (Editor's note: All Belle Fourche Lion Club minutes can be found under the "Minutes" tab at the top of this page). Lion Peterson (at left in this photo) presented the club with a plaque for the Web Site of the Year award within District MD5, which includes portions of Saskatchewan and the Dakotas. Holding the plaque is webmaster Larry Miller. Club president Leo Orme is at right. This is the third year in a row that the club has been the recipient of this award. By the way, if you'd like to get a closer look at photos on this page — or any of our archived photographs from earlier events — we invite you to visit our Lions Photo Gallery. Lions Joyce Drabek and Melodey Zupan expressed their thanks to the club for supporting their attendance at Leadership School. It was also reported that the vision screening tester is available and the tentative dates for testing in Belle Fourche are Wednesday, Thursday, and Friday, November 11-13. Testing will be conducted at the South Park Elementary School and the Middle School. 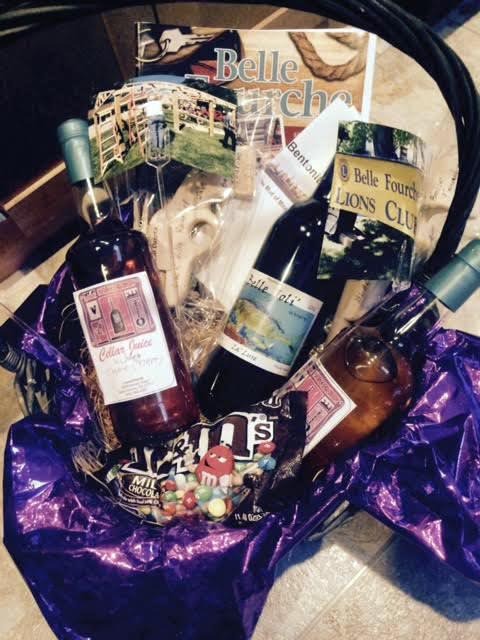 Members were reminded that Greater Belle Fourche Foundation grant applications will soon be due. 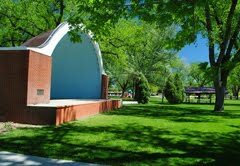 Among grant possibilities for Lions: a pergola at the Rec Center; and a dog park. Lion Young agreed to be the point of contact to address the Rec Center pergola at our next meeting. 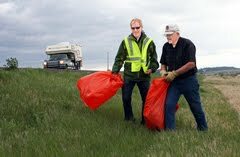 We were also delighted to have Lion Bev Drabek from the Rapid City Evening Star Lions Club join us for this gathering. The next club meeting is set for October 27th. 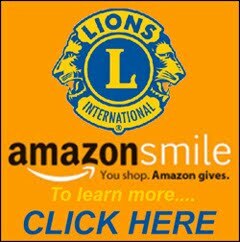 By the way, we'd like to again express our appreciation and admiration for Lion Secretary Del Neumeister for his great work in providing timely and detailed minutes of our meetings. Thank you Lion Del! 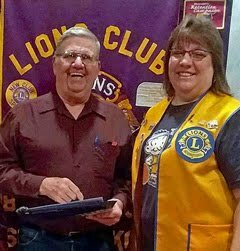 In Belle Fourche and around the world: Lions continue to Serve!